A successful 2014 season came to a close as the coaching staff, Ralph Bosco and Doug Mulqueen, acknowledged the commitment, strength of character and personal growth of the entire team (speech excerpt below). 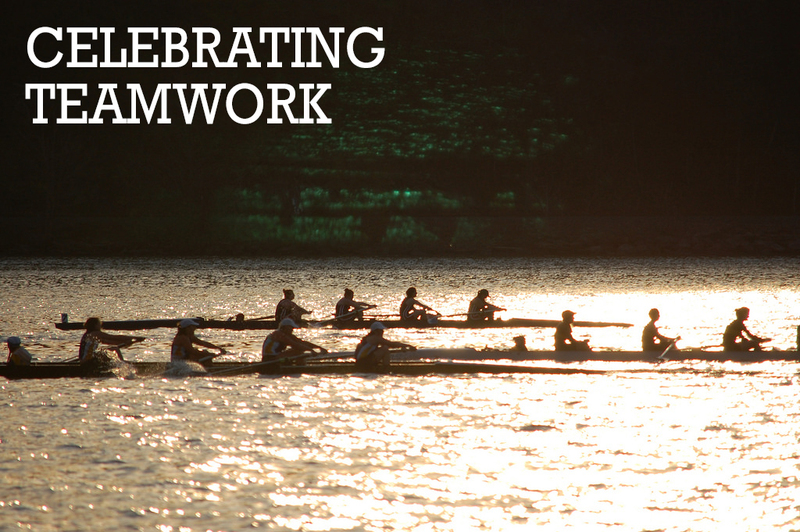 Team, you worked together, held your heads up, rowed tall and rowed proud. I admire you all for that. It is my job to push you a little bit harder, to get you to dig a little deeper, run a little faster or farther, hold that wall sit or plank a few extra seconds, or row on the square for 59 out of 60 minutes of water time. I always say, when it hurts and you think you cannot go anymore to go to that place deep within, that place you are afraid to go and go harder. I call it “the stuff in the basement”, that animal within that fuels you, that fire inside that makes you work harder, that determination or desire. Most people fear this place. I promised everyone here that if you trust me, and go to that place that it would be more than worth it. A race is only 5-8 minutes of pain, but that feeling afterwards… that’s forever. You all are showing your hearts, not only to the world of rowing, but to yourselves. This is something that so many people do not tap into until late in life, if ever. I see these moments happen when you come off the water smiling but crying, you just finish erging and there are tears along with laughter, the shaking of your head “no I can’t” and then you push harder then when it is over that big sigh of “oh my god I just did that”, or the smile of victory, a good piece, hitting a personal best, or finally being able to do something for the first time….While it has been a bumpy wild ride, I can say for myself that I am where I am meant to be, the kids in this room have made me a better coach than I dreamed of being and a better person than I was just three years ago. Thank you!